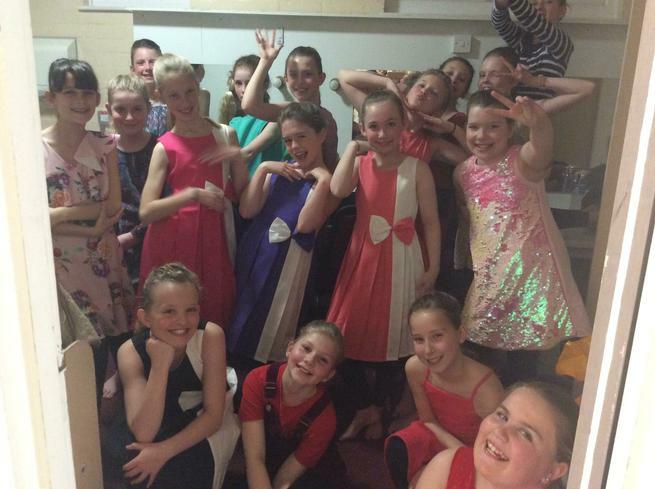 On Tuesday 19th March, Miss Long, Miss Jones and Trinity dance club went to Weston Playhouse to rehearse and perform their dances. The girls all worked so hard leading up to the festival to learn and practise the routines and had great fun along the way. 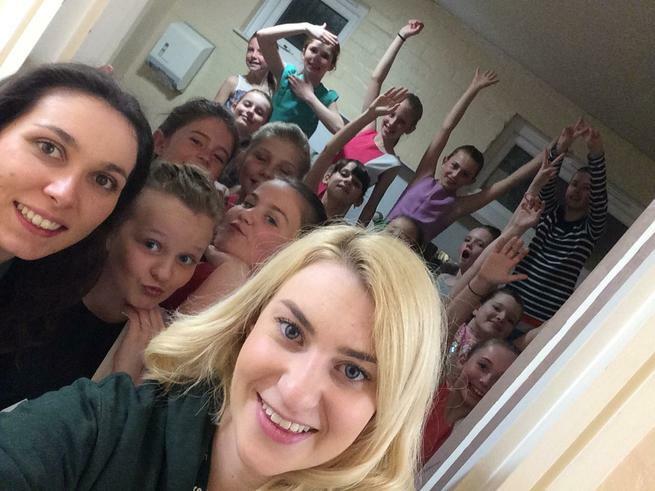 The girls grew stronger as a team and showed enthusiasm, dedication and perseverance throughout all the practises and rehearsals. The hard work paid off on Tuesday when the girls did an amazing job performing infront of their parents, other students and teachers. Miss Long and Miss Jones are so proud of you all- Well done girls, you did Trinity proud! 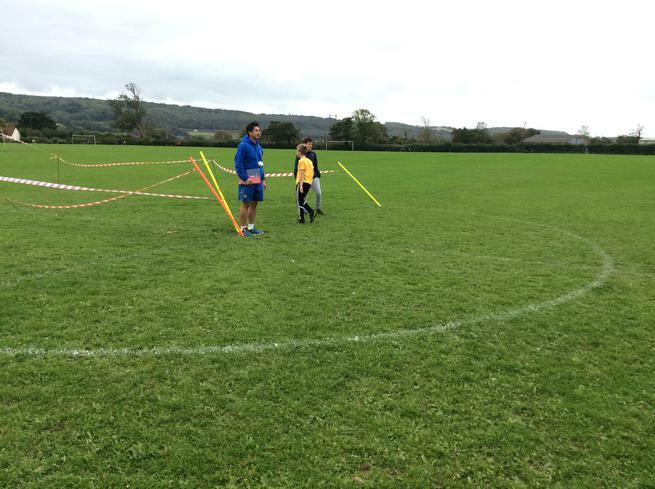 On Wednesday, 16 year 3 children went to Hutton Moor in Weston to participate in a multisports festival. 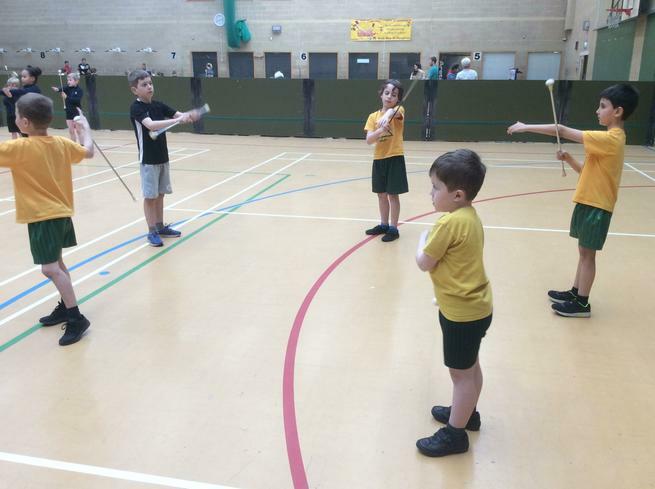 The children took part in four workshops which included baton twirling, racket pack badminton, laser run multi skills and speed stacking agility. 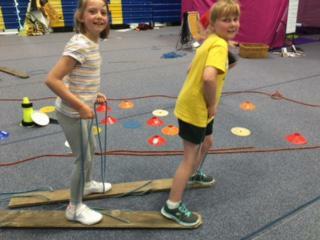 The children showed enthusiasm, determination and perseverance as they took part in each activity. They showed great courage and represented Trinity brilliantly- well done year 3! Tag rugby 6.2.19 - Well done to all the children that took part! 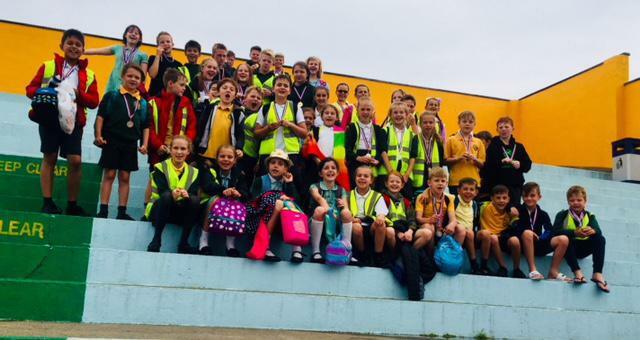 On Thursday 12th of July, 47 Trinity children competed against other Portishead schools at the Open air Swimming Gala. 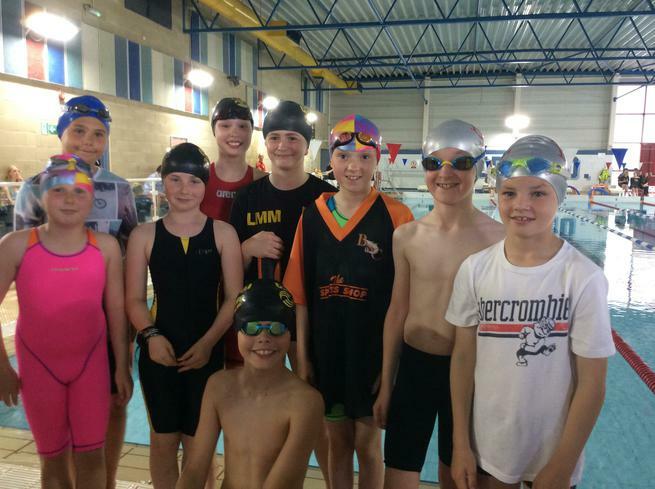 Children from each year group raced in backstroke, breast stroke, front stroke, freestyle and relays, hoping to place in the top four in order to get a place in the finals for each stroke. Trinity did extremely well and lots of our swimmers managed to get into the finals for the chance to race again for medals. We had some tough competition from the other local schools whose standard of swimming was also fantastic. After all the races were completed, the presentation ceremony begun and Trinity had some well-deserved personal achievements. Bronze medalists were: Innis Sommers in front stroke, Clara Waller in Breast stroke, Ed Dexter in Front stroke, Freya Salter in front stroke, Sam Ledward in Freestyle, Clara Waller in Freestyle and the Y5 boys relay. Silver medalists were: Hannah Ripley in Freestyle, Hannah Ripley in Breast stroke, Clara Waller in Backstroke, Y3 girls relay, Y4 boys relay, and the Y4 girls relay. Gold medalists were: Eloise Cash with 3 gold medals for front crawl, Back stroke, and Freestyle, Sam Ledward for Breast stroke and Backstroke, Hannah Ripley in Backstroke, Y5 girls relay, Y6 girls relay and Y6 boys relay. Overall, St Peters came 5th, St Josephs came 4th, Portishead Primary came 3rd, Trinity came in 2nd place and High down came 1st. All the children from Trinity represented Trinity superbly and thank you to all the staff and parents that helped and cheered the children on! 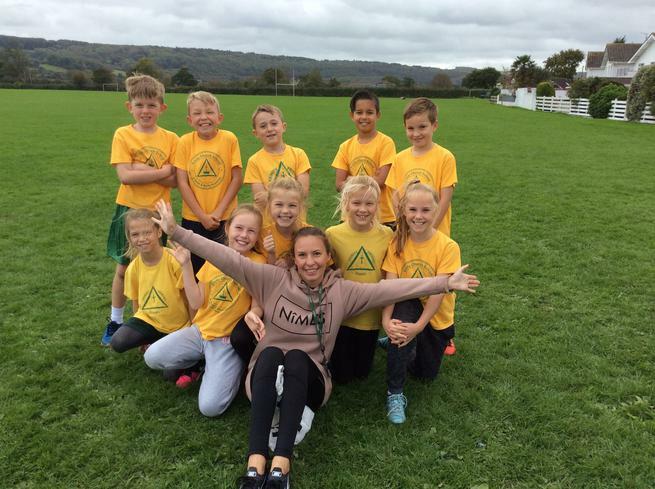 On Wednesday, 12 Year 4 children represented Trinity at the North Somerset Athletics competition. They had to compete in track races such as relays, sprints and obstacle races. Trinity showed fantastic team spirit and determination and won every one of the 12 races. The children also competed against 10 other schools in the long jump, triple jump, vertical jump, chest push, javelin and speed bounce. They tried their best and many children achieved their personal bests and won their categories. Overall, Trinity won the competition and hold their title of North Somerset Champions for another year. 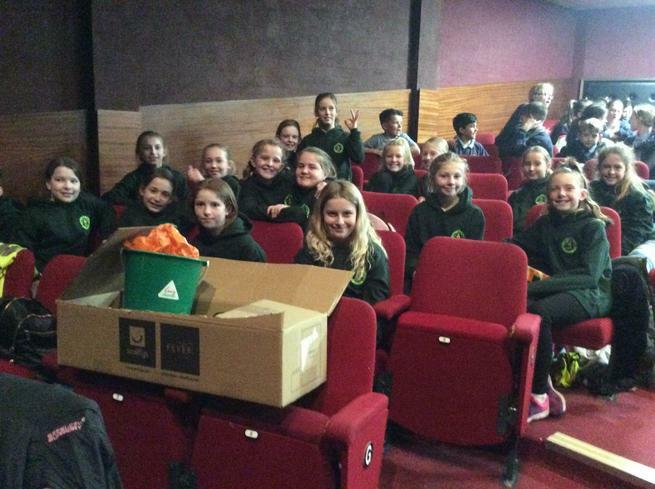 On Tuesday, 18 Year 5 and 6 girls from Dance Club attended the North Somerset Dance Festival at the Play house in Weston. 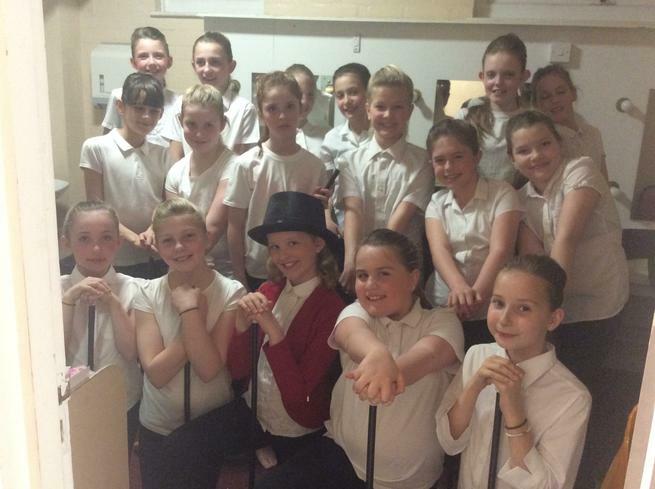 The girls had been rehearsing their two routines since September in their after school club lead by Mrs Britton. The day started by watching all the other school routines during the rehearsals and making sure we were all organised for the evening performances. At 3 0’clock, the children had finished rehearsing so we took a walk over to the Grand Pier to go on rides and have Fish and Chips for dinner. It was a great way to spend time relaxing and having fun before the big show! 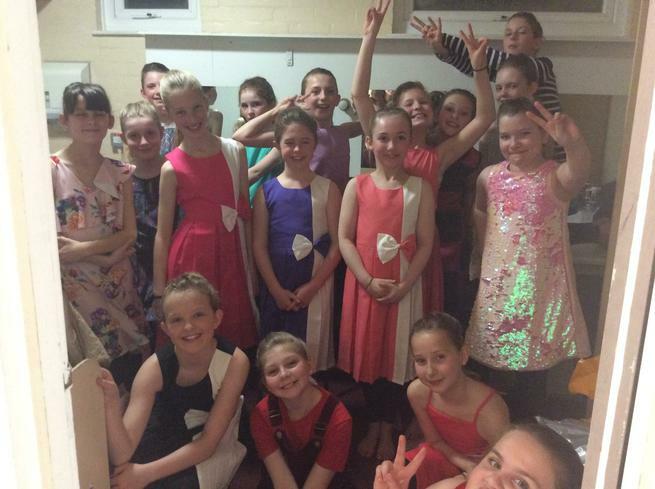 We then made our way back to the Playhouse to start getting ready for our first performance. It was a frantic rush to get all of our hair, make up and costumes ready but we managed it! This year, the criteria was to create a dance that told a story so Trinity Dance club choose to tell a story of 4 innocent girls who became lost in a mystical forest where many spooky shadows and spirits put them under a spell. This was a contemporary dance routine and the girls absolutely loved performing this piece at the show. Our costumes were fantastic and really set the mood for the piece. The second dance routine was a modern funk/jazz routine to Cant stop the feeling by Justin Timberlake. This routine was full of energy and we performed with such enthusiasm that we had the whole audience clapping from start to finish. It was a fantastic day and we loved every minute! 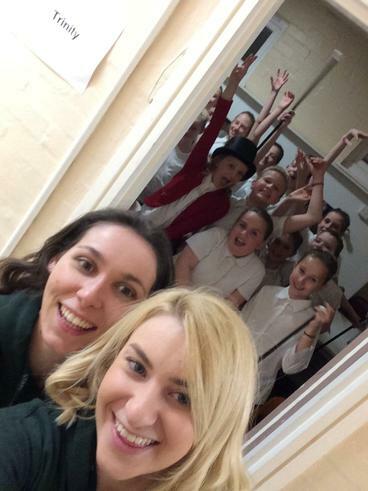 Thank you to Mrs Britton for organising and supporting our dance club and Mrs Ripley, Mrs Nickells, Miss Christopher and Miss Long who came to support us as well. On Wednesday, 10 Year 4 children took part in a Football tournament against other local primary schools. Trinity’s first match was against St Josephs A team. They were a strong opponent and it took us a while to get warmed up. However, Lucas Manning made some fantastic saves in goal and at the end of the match St Joseph’s had won 1:0. 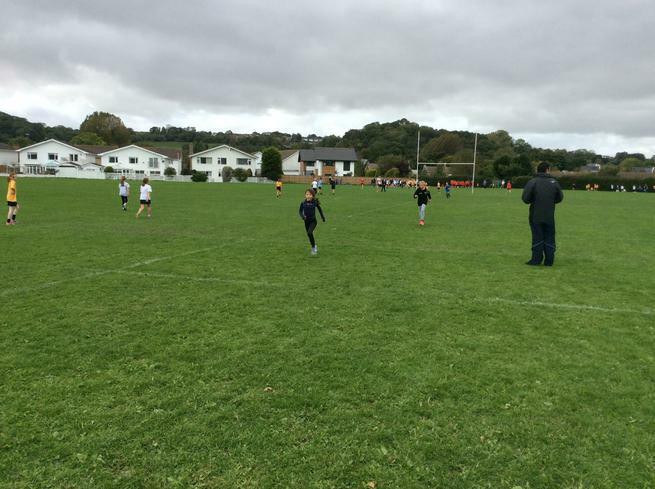 Our second match was against Portishead Primary. We started strong and made sure our defence was fierce. We won the match 1:0. We then played St Joseph’s B team. This team had great upfront players but our defence was strong. We won 2:0 with excellent goals from Max Holder and Thomas Roach. We then went on to play all three teams again and Trinity won two games and drew one. This meant that the overall results made Trinity the Gordano hub winners of the tournament. Freya Salter was named woman of the match by the Gordano Coaches and Charlie Hall won Man of the Match for providing a fantastic defence. Well done to all the children who took part and worked so well as a team! 1000m Cross Country runs! They were fantastic!! All five Year 4 girls came in the top ten runners with Immy Davies coming 2nd out of 60 girls, Katie Corrigan in 3rd, Innis Sommers in 4th, Phoebe James in 5th and Ava Richardson in 8th place. The boys showed fantastic enthusiasm and determination as well and all placed within the top 15 runners. Louis Palmer had an incredible race and came in 2nd place! Next up was the Year 5/6 girls and boys race. They had to run a gruelling 2000m around the fields and sprint to the finish line! The girls showed amazing courage and resilience and beat their personal bests. Rosa Ford also came 2nd for Trinity with Ellie Siegle in the 4th and Livi Sherlock in 5th place. The boys’ race was full of conviction and persistence and we saw Austen Cox taking 3rd place out of 60 boys, Alex Boyd in 4th and Fraser Mowbray taking 6th place. At the end of the day, once all the points were collected, Trinity had won the Y4 girls race, the overall Year 4 race, and the Year 5/6 Boys race. 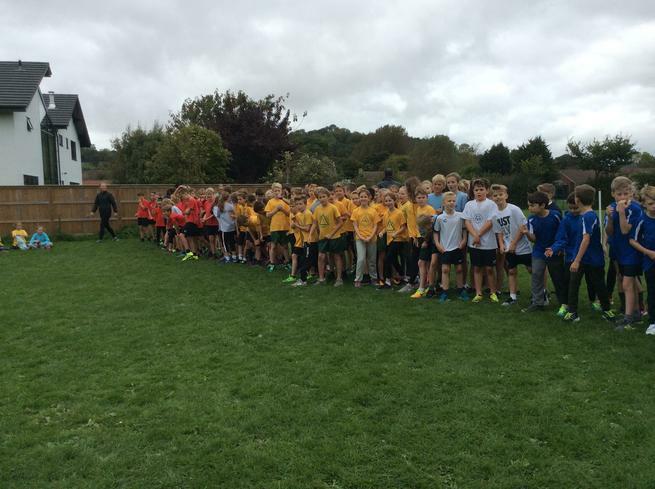 Therefore, Trinity have been crowned the Portishead Cross Country Champions and go through to the North Somerset Finals! Congratulations to all the children who took part and contributed to this great success! On Wednesday the 12th of July 11 year 4 children were selected to take part in a Rounders tournament at Gordano school. Prior to the competition, the year 4s had trained hard during PE lesson learning all the rules and new skills. The children played three matches against St Peters, Portishead A Portishead B team The Trinity team shone at the event showing phenomenal team spirit, enthusiasm and skill. They played to the rules and worked so well together which helped the final win for the year, Trinity have also won the Gordano cup for sports in Portishead. What a wonderful achievement! 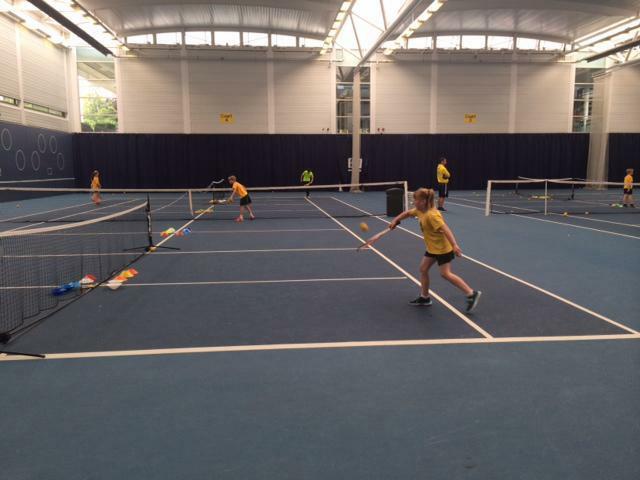 On Wednesday 5th July, 18 children who had qualified in their events in their level 2 North Somerset competitions travelled to Bath University to compete on the level 3 county finals in tennis and quad kids. The year 3/4 Tennis team started really well , winning nearly all their games and putting them into the quarter finals. Unfortunately ,they lost their match and came 5th in the whole competition which is still an amazing achievement! The year 5/6 Tennis team played extremely well against fierce competitors. They preserved and made it into the semi finals to fight for 3rd place. Unfortunately , they also lost their final match which meant they had come fourth place in the county . Well done to all of these children for having such a determined and great team spirit . The 10 year 5 children took part in the county finals for quad kids and needed to compete against 23 other schools in 75m sprint, 600m run , vortex throw and Standing Long Jump .The showed such fantastic determination , team spirit and support for each other throughout the day. There were some personal bests for lots of our trinity team which showed how hard they worked and Trinity came in 6th place out of 23 schools. At the end of the day there was a game zone area for the children to have some fun and trying new things such as blind football, fencing, RAF skills and yoga. They children came back with smiles on their face and beautiful flower face paints (even some of the boys!). Thank you for being great athletes . 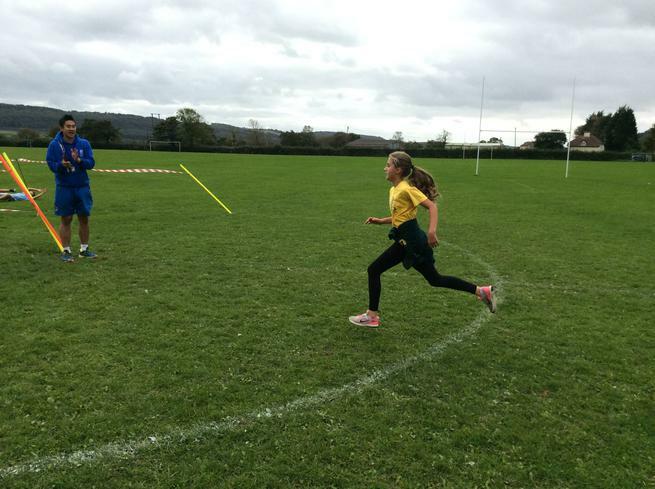 Last Friday, 10 year five children attended the North Somerset Quad kids competition at St Katherines. 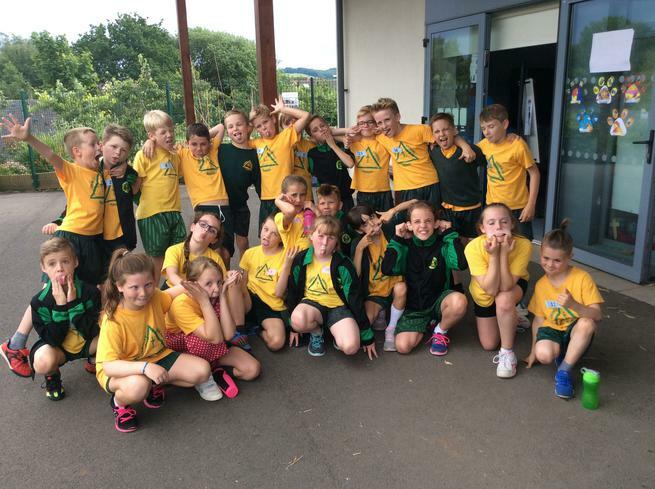 Each child competed in 4 events to create a combined overall score for their school team. They preserved in a 400m race, 60m race, standing long jump and the vortex throw. the children were incredible and represented Trinity brilliantly. The competition was held over 2 days and 16 schools competed. Trinity won gold medals for the highest scoring team and now hold the title of North Somerset Quad kids champions 2017. They will be entering the level 3 county finals in two weeks! and had learnt a floor routine and vault jump. 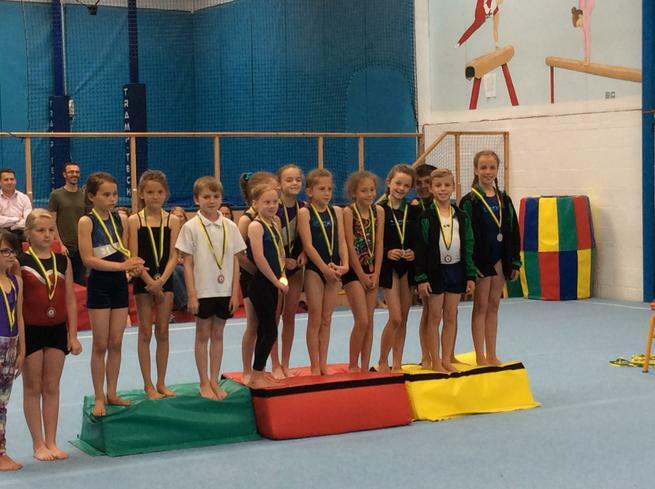 The competition was fierce and the standard of gymnastics was amazing from all the North Somerset schools. Unfortunately , Trinity did not place in the top 3 schools but the team had great fun and enjoyed taking part. Noah Ford came 3rd in the highest scoring overall gymnast . Well done to all the children that took part. On Wednesday the 3rd of May, 10 children from Year 4 took part in a Tri-Golf tournament against North Somerset schools. All fifteen competing teams were challenged to tackle eight skills stations, scoring points for successful chips and putts. It was noted by adults at the event, how well-behaved and enthusiastic Trinity were throughout the event. We are yet to find out where we placed but please check the school website for updates. Also that morning, 8 children from Year 3 and 4 took part in a competitive tennis tournament against 17 other North Somerset schools. The children spent lunchtimes training for the events and felt confident and exited to represent Trinity , most for the first time at this competition. The children were split into two teams , team A and B. In the B team tournament, Trinity won two matches and lost two matches that put them in 3rd place overall. In the A team tournament, Trinity started strong and won most of their matches which meant they had made it into the semi finals. Each player played singles against Mendip Green for a place in the final. Trinity won every match and made it through to play Crockerne! The final was keenly contested with Trinity being crowned North Somerset Champions 2017 (Gold) and Crockerne Primary taking the runners up spot (Silver) . The A team will be representing Trinity at the County Finals next term. 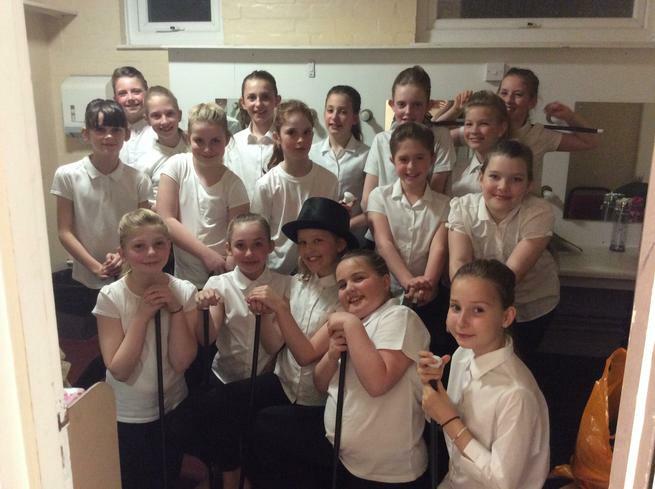 On Tuesday 28th March, 19 girls from year 5 and 6 represented Trinity at the North Somerset Dance Festival at Weston Playhouse . The girls have been busy and perfecting two dances since September, one to a song from Footloose and one to a song from Wicked. The girls spent the afternoon rehearsing on the stage in the theatre and having the opportunity to watch the dance from nine other schools in North Somerset. 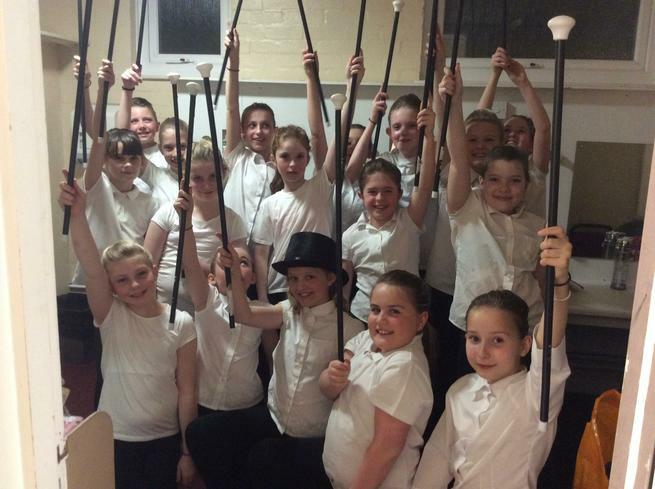 Their performances in the evening were fantastic, they gave it everything they had and did us all proud. Miss Christopher, Mrs Minshall and Mrs Stanton would like to say a huge well done to all those children involved, you were a credit to Trinity School . 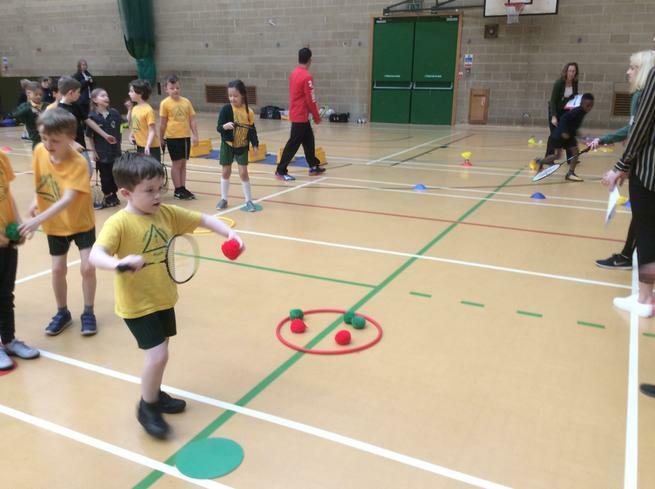 Last Friday , 10 Year 2 children attended a North Somerset Multi Skills event at Katherine's School. 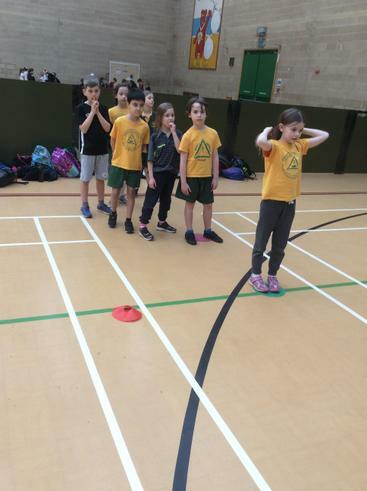 The children were split into two teams and each team had to try their best to collect as many points as they could at a number of different events such as Kurling, ball skills and agility runs. The children worked really hard together and had lots of fun! Overall , Trinity came 3rd in the competition! Well done! 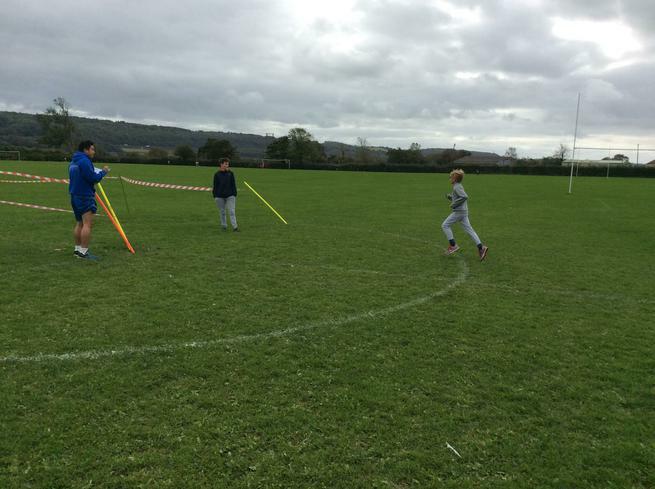 This Wednesday, 20 Year 2 children took part in another Multi Sports event but for our Gordano Sports Cup. 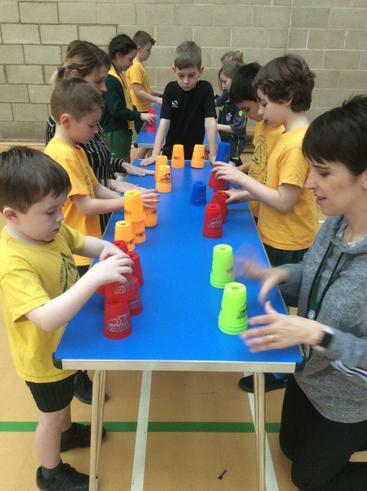 Trinity were visited by Rachel and Paris (PE teachers from Gordano), who are travelling to all the Portishead schools over the next few weeks to allow Year 2 children to compete against each other. Trinity are first school they visited for the competition and they were really impressed with the children's enthusiasm and determination. 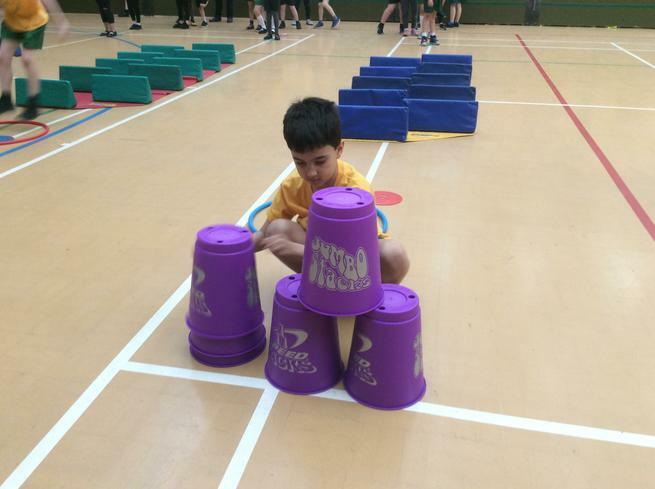 The children competed in four events: ball shooting, speed bounce, basketball dribble and agility relay as fast as they could. We are looking forward to hearing our score and wher we have come in the next couple of weeks, once all the schools have participated. 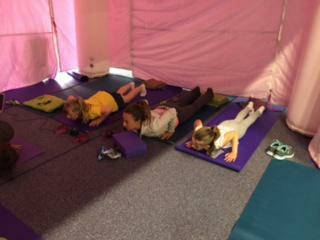 10 Year 3 and 4 gymnasts represented Trinity at the Gemini Gym Club on Wednesday. The children were split into two groups; level one and level two teams. The children competed against 12 other schools from North Somerset and learnt a vault and floor routine to perform in front of judges. Both teams showed great discipline, focus and determination throughout the morning and really enjoyed taking part. As the results were announced, the children had their fingers crossed that they would walk away with a medal, but the scores were extremely close between the top five places and Trinity’s level 1 team missed out on third place by 0.1 points and our level 2 team also came in fourth place with only 0.2 points difference between Trinity and 3rd place. Finally, the judges announced the individual winners from each level and we were very proud to congratulate Lilia from Year 3, who won gold in the level 1 competition. 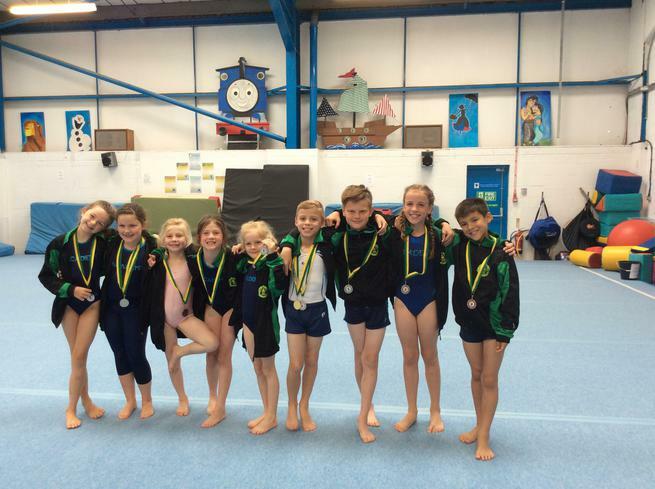 Well done to all the gymnasts who took part. 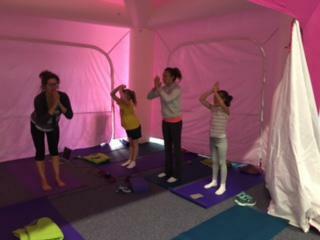 You all worked very hard and Miss Benjamin was very impressed with your effort and skill. On Wednesday 8th of February 9 lucky students of Trinity primary school took part in a netball competition at Gordano. They played one match in the old sports hall and two in the new one. Unfortunately St. Peters didn't turn up which left our other rivals Portishead primary, St. Joseph and St. Mary's still to play. Sadly , we lost all of our games which means we lost the overall game. We came 4th but the whole team still persevered .Mrs Cooper and Miss Stanton are very proud. Finally, when the team arrived at the University of Bristol they were buzzing with excitement. Their first race was the girl's obstacle course. It was a tough competition but the girls worked hard together and came second place . Madi Williams did really well for the team and helped them accomplish second. Next was the boy's heat ; they were brilliant at working together. Will Smith and Kaie Griffin were great at working. the girl's long jump was tough although they powered through and they did outstandingly well. Then they did the 1 by 1 race then the 2 by 2 race and the longest race two children six laps. this was tough but both teams did well Ellie Seagull showed great perseverance in her race. they also did the under over race were Georgia Smith, Grace Summers and Tegan Minchall did brilliantly. over all we were second in north somerset and eighth in the whole region. 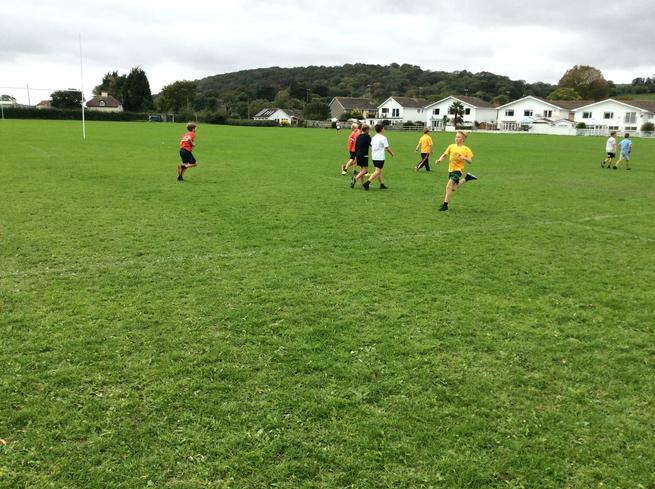 On Wednesday, 14 children from Year 5 and 6 competed against 3 other local primary schools in Tag Rugby matches at Gordano School. It was a tough competition but Trinity persevered and as the afternoon progressed they gained more confidence and gave a great performance. Trinity lost their first two matches but won their last match. Trinity came in joint second overall. This means that after the Cross Country, Football and Tag rugby events in the Gordano Cup, Trinity are currently in 1st place joint with Portishead Primary scoring 9 points. High Down is in 2nd place with 13 points. St Joseph’s is in 3rd place with 14 points and St Peters is in 4th place with 17 points. Finally, St Marys are in 5th place with 23 points. The next Gordano event is for Year 5 and 6 Netball at the end of this term. Good luck to all who take part! 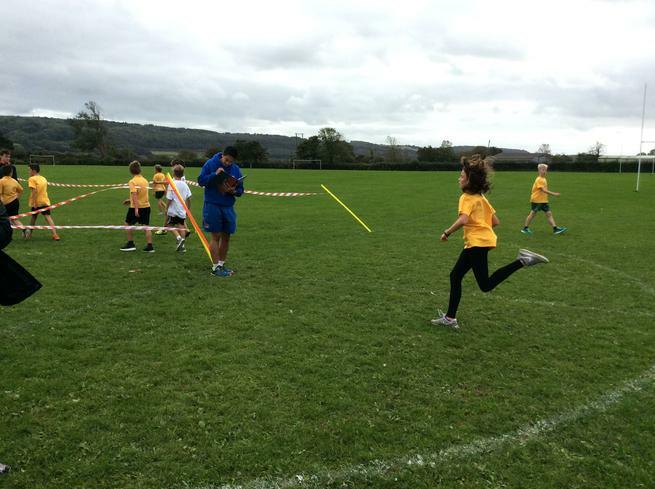 On Wednesday, 19 children took part in the North Somerset Athletic competition for Year 5. 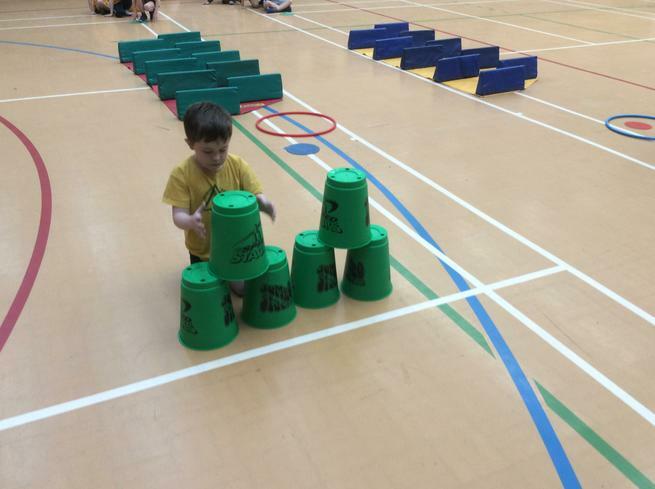 The children competed in events such as the standing long jump, vertical jump, chest push, javelin throw and relays. Mr Cash was extremely impressed with the children's attitude to the competition and their wonderful behaviour. Overall Trinity came 2nd out of 20 schools from the morning and afternoon sessions. This means the team have qualified for the Level 3 competition at UWE University on the 30th of January. What an achievement! On the first day back to school in 2017, 10 lucky children represented Trinity at the Dodecathlon at Hutton Moor Leisure Centre. The children needed to take part in 12 physical events to win a gold medal at the end of the day. 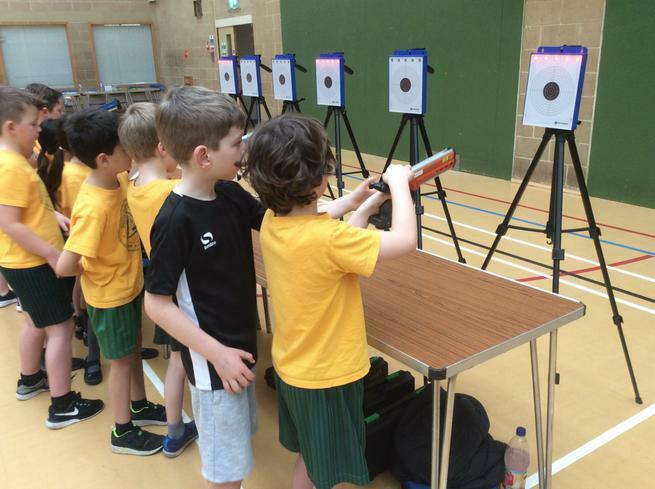 The children enjoyed learning new skills in events such as Archery, Kurling, Frisbee Golf, Relays and Target throwing. The children had a fantastic time and showed great teamwork and energy throughout the afternoon. Overall Trinity came in 2nd place out of 10 schools and won medals! Well done to all the children who took part! Following on from last weeks sports report, it has been announced that Trinity came in 1st place in the North Somerset Swimming Gala. This means Trinity now hold the title of North Somerset Swimming Champions 2016-17! A special congratulations to all the children who took part! 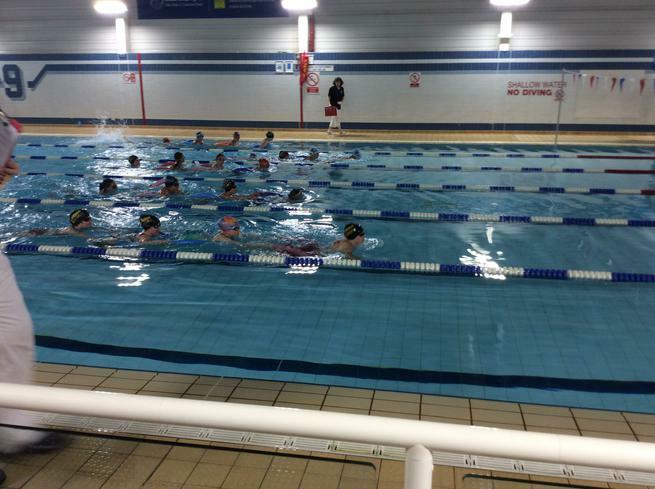 On Thursday the 8th of December, 12 children from Year 4, 5 and 6 took part in the North Somerset Swimming Gala at Hutton Moor. Trinity competed against 21 other schools ain relays, water polo races, freestyles, front crawl, back stroke, butterfly and breaststroke. The Trinity team were extremely well behaved and showed amazing support for their team members in such a challenging event. Trinity won nearly every one of their heats and overall we won 14 medals! Sam L won silver for freestyle and gold for butterfly. Lauren M won bronze for freestyle and gold for front crawl. Georgia M won Bronze for backstroke. Jacob W won silver for front crawl. Charlie K, Hannah R, Emmie C and Jacob W won silver for the noodle relay. Charlie K, Jonty H, Clara W, and Georgia M won bronze for the water polo race. The children did exceptionally well and we are yet to find out where Trinity placed overall so stay posted for this news! 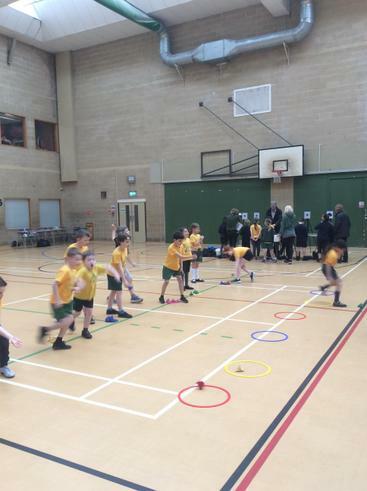 On Monday the 5th of December, 10 children from Year 4 and 5 represented Trinity at Nailsea school to take part in New Age Kurling and Boccia. The group were split into two teams and one team started on kurling whilst they did Boccia. Trinity rotated through the festival, playing 6 other schools in each event. The festivals focus was on teamwork and participation and the children showed fantastic encouragement, motivation and excitement throughout. They were awarded with medals for this. Well done to all the children who took part and listen out for some exciting opportunities to take part in these games next term! On Wednesday 25th November , Trinity's year 5 and 6 girls football club attended their second event at Nailsea School. They were competing against 11 other North Somerset schools for the chance to win and attend the county finals . Their first game was against Castle Batch and even though the girls played a strong game with great passing and a few close shots at the goal. The final score was 1:0 to Castle Batch .The second game was against Mead Vale who had fantastic defence but Trinity held their own and the score was 0:0 at the end of the game. Trinity's last game was against St Johns. The Trinity girls played extremely well and Grace and Hanna kept a fantastic defence again, keeping the score 0:0 until the final whistle. It was a close quarter final with all the teams' scores being very close but unfortunately Trinity just missed out on a position in the finals. However, they played their best football yet and competed in great team spirit. 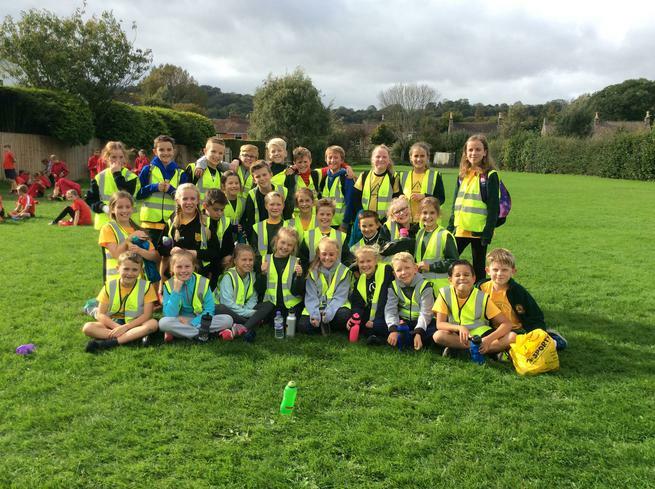 On Thursday 6th of October, 25 children from years 4 and 5 represented Trinity in North Somerset Cross Country at Bristol Grammar School. We started the morning with the Year 5 girls race. 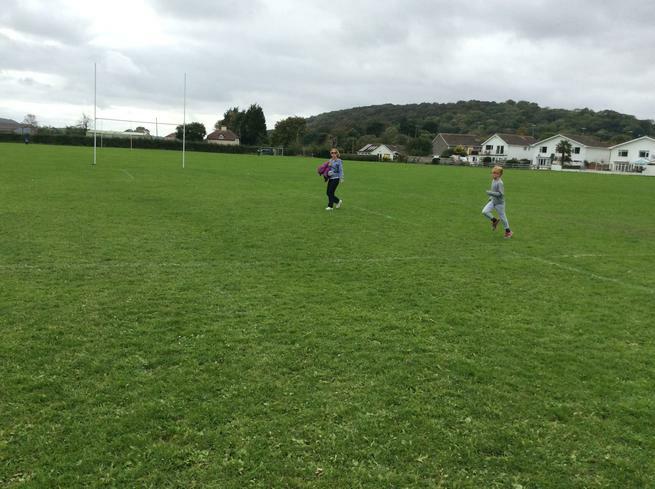 The girls had to run two laps around the field which was equivalent to 2,500 metres. They did remarkably well and two of our girls, Rosa and Ellie Siegle finished in the top 12 runners and have made it through to the regional championships. Eagerly waiting at the start line, were our Year 5 boys who also ran the 2,500 metres with great determination. All of the 6 boys came in the top 25 runners and Noah Ford, Alex Boyd, Sam Ledward and Joe Smith are also through to the regional Championships in November. Not only did the Year 5 achieve personal bests but as a team overall the girls came 3rd out of 13 school and the boys came 1st winning well deserved meals! The last two races of the day were the mixed Year 3 and 4 boys and girls races. The girls went first and showed great courage to try their best to make it around the 1,500m course. These races were for individual medals for the top 10 runners. Livi Sherlock came in 4th place and Isabelle Petitt came 7th both winning medals! 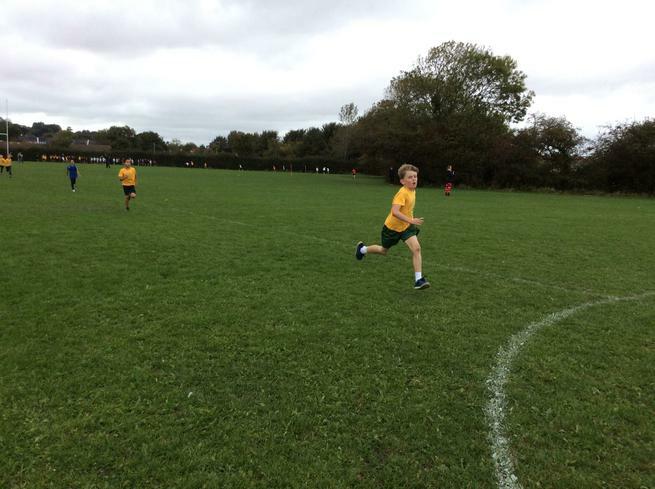 The Year 4 boys race was by far the closest race between the runners and all of the Trinity boys had a strong start. An acknowledgement must be made for two boys from Trinity who were by far the stars of the whole race (even said by others schools). Jacob Avery ran the whole race in the top 3 and showed an enormous amount of skill and determination but unluckily fell in the last leg of the race. As lots of runners ran passed to finish their race, Archie Rawlinson gave up his position of 12th in the race to help Jacob. Both the boys, arms around each other’s shoulders, finished the race together still in an impressive place of 22nd and 20th. They showed great courage and friendship during a challenging situation. Well done! 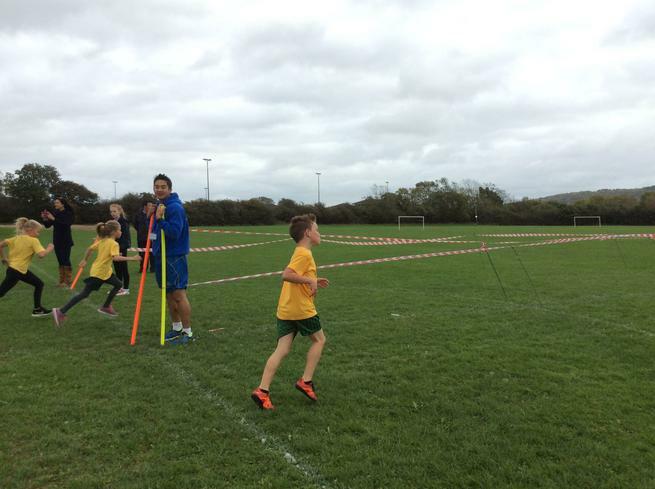 On Wednesday the 28th of September ,29 children took part in the 2000m cross country race at Gordano. 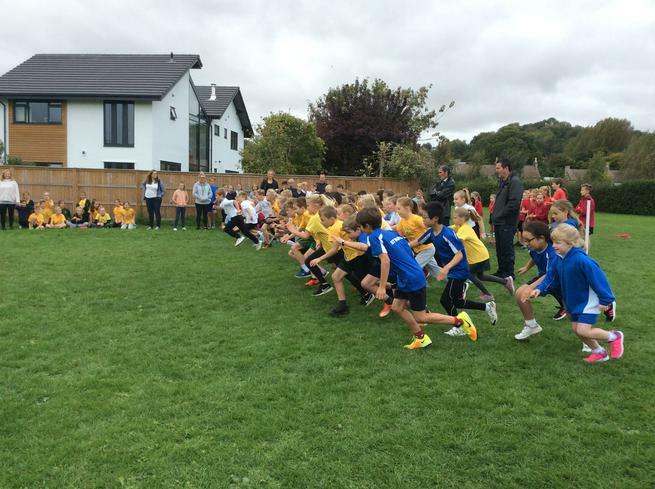 They were racing against five other local primary schools in boys and girls race to contribute to an overall score. The boys went first and ran a fantastic race with many of our boys coming within the top 50 runners out of 140. The girls were determined to do well too and also have some great personal achievements! Overall, both the trinity boys and girls came 2nd, which meant Trinity have won silver! Well done to all the children who ran such a tiring race. On Thursday the 14th of July, 50 children from Years 3, 4 ,5 and 6 represented Trinity at the annual Open Air Swimming Competition against other local Primary schools. It is one of Trinity's favourite events of the year and there was an excited buzz as the children walked down to the Lake Grounds. 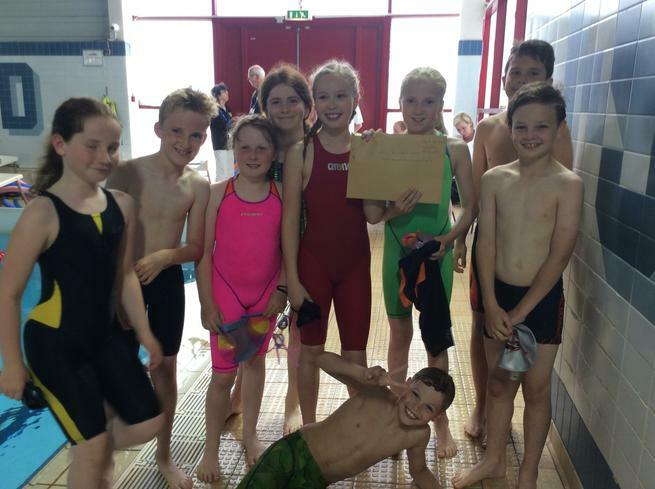 The first race for each year group was breaststroke which Trinity did extremely well in and took Eloise, Evie, Charlie and Thomas from Year 3, Clara, Hannah, Ellie S, Jacob, Alex and Joe from Year 4 into the finals, as well as Jonty from Year 5 and Ella, Addy and Thomas from Year 6. The Breast Stroke Finals were tough but the children gave it their all and Eloise walked away with 2nd place in the Year 3 race and Hannah took silver and Clara won a Bronze medal in the Year 4 girls final. Jacob and Joe also walked away with 2nd and 3rd place for the Year 4 boys and Addy took gold for Year 6. The second race was backstroke and once again Trinity were on fire in the year group heats. 13 children form Trinity made it into the final races for their Year groups and Emmie in Year 3 stole the show when she won first place. Hannah and Ella raced to the finish line and won 1st and 2nd place for the girls Year 4 team. Sam won his second medal by coming 2nd and Oliver in Year five also took 2nd place. Addy also won her second medal in the finals, placing 2nd also. The third race was front crawl. Trinity once again made an outstanding effort in their heats and 17 children made it into the finals. After swimming the fastest they could, Hannah won gold, Eloise and Oliver won bronze and Addy achieved another silver medal. Next up were the Freestyle races. 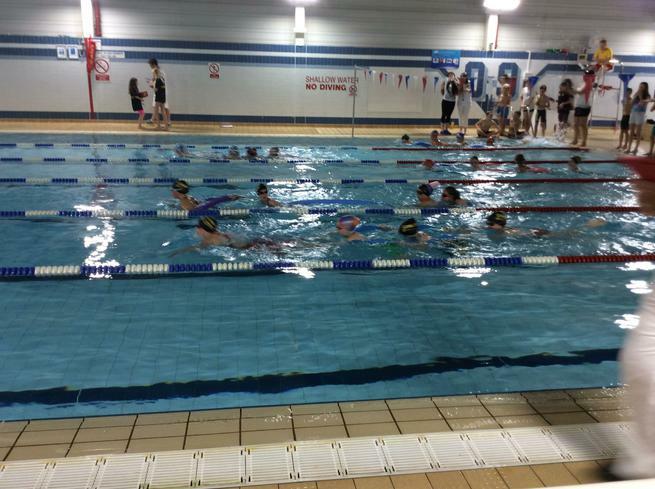 The children needed lots of stamina for these races as the Year 3 and 4s would need to swim 2 lengths of the pool and the Year 5 and 6s would attack three lengths of the pool in their favourite stroke. It was a tough challenge but all the children persevered to the finish line! Hannah came in 1st place for the Year 4 Girls and Sam took 1st place for the Year 4 boys. Lauren in Year 5 also won a gold medal, along with Addy who came 2nd for the Year 6 girls. The last race was the one we had all been waiting for… The relay! It was wonderful to see all the children working as a team, encouraging and supporting each other. It all paid off too when the Year 3 girls and the Year 4 girls both won 1st place in their races. The Year 3 boys and Year 6 boys also won Bronze for their performance! Well done! At the end of the day, all the scores were collected in and Trinity waited anxiously to find out where we had placed overall. In joint 4th place were Portishead Primary and St Peters, In 3rd place was St Josephs. It was down to Trinity and High Down… Trinity were over the moon to hear they had placed 2nd in the whole competition. Huge congratulations to the all the children and a big thank you to the staff and parent helpers for their support and organisation. It was a wonderful day and we cannot wait for next year to do it all over again! On the 13th of July, 11 outstanding rounders players took part in a Rounders competition at Gordano. Their first match was against ST Peters and we worked really hard as a team. Trinity made some phenomenal catches by Noah ford, Zeke James and Jac Priddle. Trinity came out on top and won their first game. Their second game was against Portishead Primary. Trinity showed great determination and hit some good rounders. They played extremely well and won their second match that meant that they won the whole competition. Well done Trinity! On Sunday the 10th July, Trinity competed in a Swimming Gala mainly comprised of Club Swimmers from local schools in our area. This was the first year Trinity have taken part in the competition and we were extremely excited to be there. The first race was a Bailey Memorial Relay race with 8 swimmers in a team. We came extremely close to winning first place, competing with High Down but they inched to the finish line first. The second race was a particularly difficult race called the Water Polo Relay. We had to demonstrate lots of skill and patience as we swam front crawl whilst keeping a ball in front of them and then throwing it to our next team mate. Unfortunately, Trinity were deducted a place for the race as we forgot to wait for our team mate to touch the wall before leaving which put us in 5th place. However, our team spirit did not waver. We continued to push ourselves to achieve our best in the mixed stroke relay and came 3rd. Our last races were the girls and boys caterpillar races. We had to swim in a line joined by floats and swim to lengths of the pool without breaking the chain. It proved more challenging than we thought when we needed to turn at the end of one length but both teams did fantastically and came in 2nd place. Overall, Trinity came in 3rd place in the competition. It was a great afternoon of competitive sports that we look forward to taking part in again next year. Girls Caterpillar race! 3rd place for Team Trinity! 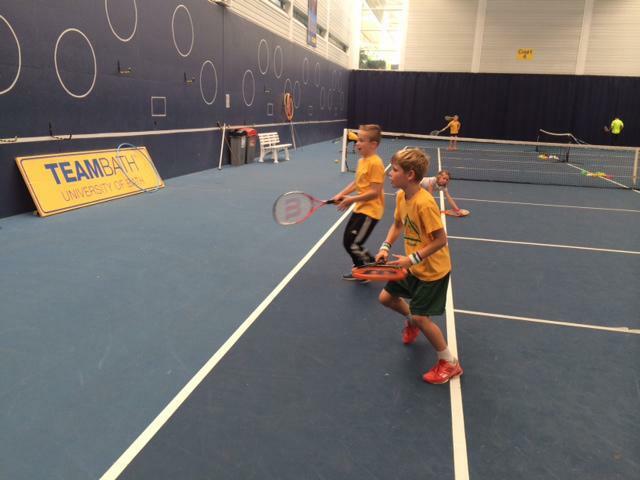 On Wednesday 6th of July, 4 children had a fantastic opportunity to take part in the Tennis County finals at Bath University. As Trinity’s team had won the North Somerset competition, they progressed to the finals where they played 12 other winning teams from Bath, Bristol, The Grange and North Somerset. 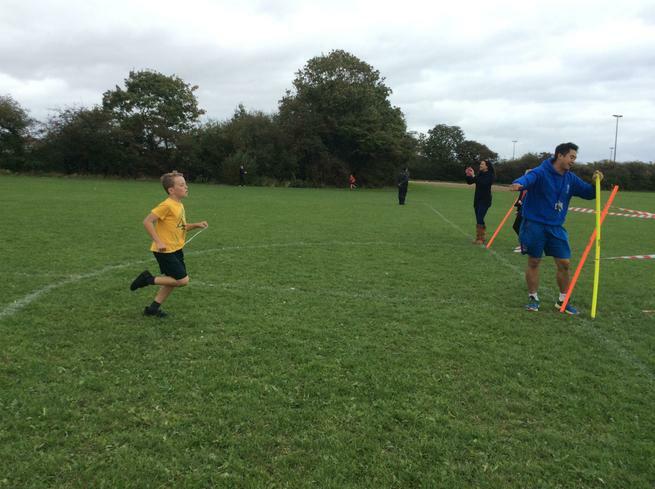 The children were determined to showcase their talent and started the competition with a strong lead by winning their individual games against Mangotsfield Primary School. Trinity went on to play 3 other schools with great determination. It was fair to say that there was tough competition as many of the children they played were County players. Trinity came third in their category which meant they had just missed out on playing in the semi-finals. 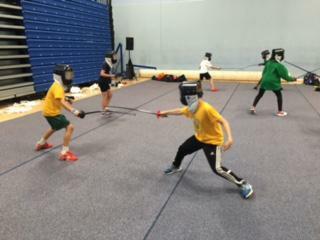 However, the children had a fantastic afternoon trying lots of new sports in the Game Zone such as Fencing, Yoga, Orienteering, Dodgeball and Parkour. It was a fantastic day of sport and the children should be extremely proud of themselves for taking part in such an impressive and challenging competition. 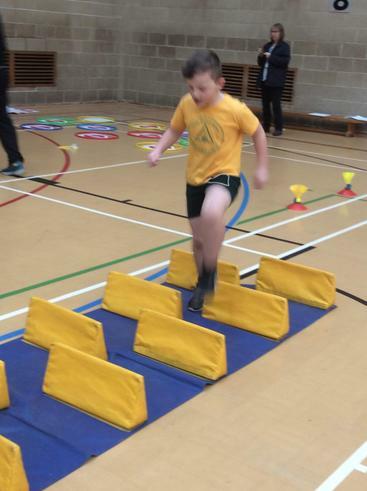 On Monday 27th of June, 10 Year 2 children were selected to represent Trinity in a Multi-Skills festival at Nailsea Secondary School. The children were extremely excited to be visiting another school, competing against North Somerset Schools and getting to wear the Trinity Sports Jackets. They looked very smart! The children were split into two teams and took part in 10 events over the morning. They showed so much Trinity Spirit and determination in each event which meant they gained fantastic scores throughout the competition. 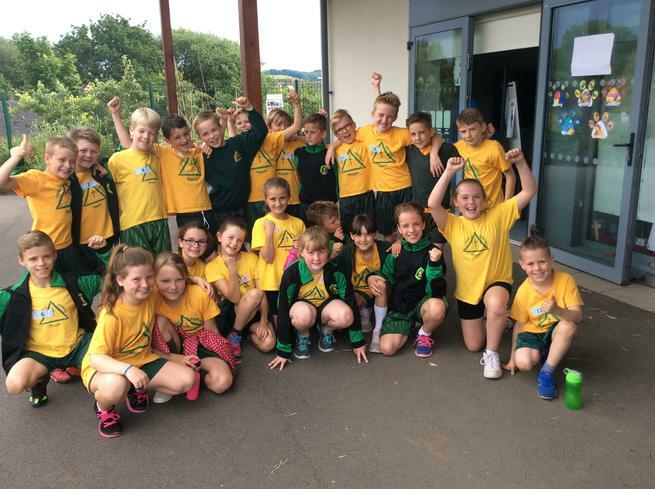 On Wednesday 15th of June, 25 Year 4 children had a fantastic afternoon of team work and sport competing in the Quad Kids competition at Gordano School. Trinity competed in four events; the 50 metre sprint, the 400 metre run, the vortex throw and the standing long jump. Everyone worked hard to compete, giving their all in every event. 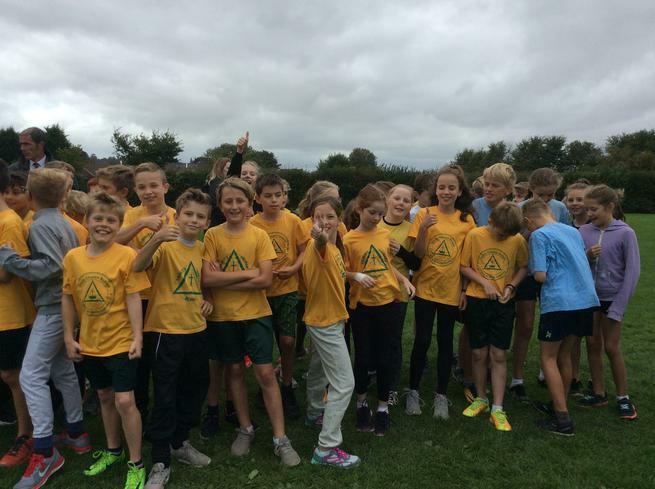 Alex Boyd, Joe Smith and Jac and Louie Priddle made the 400 metre race look easy, and even though Lily Rae Simmons and Ellie Siegle sustained injuries they didn’t give up! In the javelin throw, Jack Salter may have short arms, but they pack a lot of power, hurling the javelin through the air landing at 13.3 metres! Rosa Ford and Ellie Holder came in 1st in the standing long jump for the girls jumping a whopping 1.85 metres and Noah Ford beat his personal best by jumping a massive 2 metres. The most impressive part of the day was when we showed support to each other when the going got really tough. Trinity cheered, ran alongside and believed in one another all afternoon! The results were also just as impressive. Trinity came in 1st place in the whole competition! Well done to all those who took part. 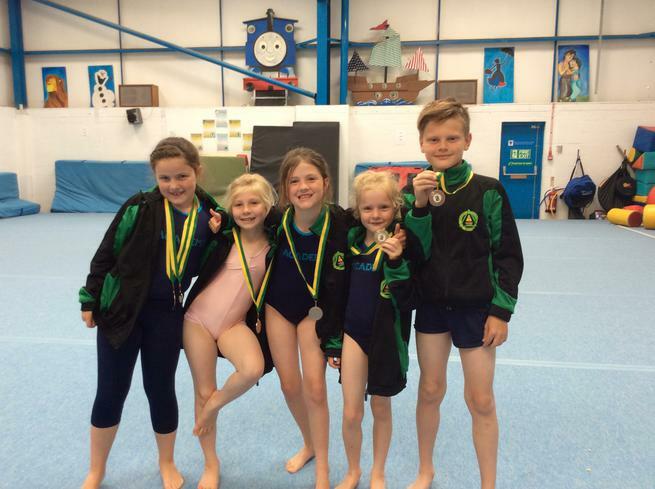 On Monday 13th of June , 10 Year 3 and 4 children represented Trinity in the North Somerset Gymnastics competition at the Gemini Club in Nailsea. The Level 1 team started with their floor routine, which was very nerve-racking in front of the judges and audience but they performed superbly. Next they moved on to their vault routines and again showed great determination and focus. Next up was our Level 2 team, who took to the floor with elegance and skill. They then moved on to performing their individual vault routines and gained fantastic scores. Our level 1 team scored 74.9 out of 85 which meant they came in second place in their category! Well done! Our level 2 team scored 119.3 out of 125 points which also put them in second place! In the overall individual medals, Mia Eason one second place in the level 1 category and Noah Ford won Gold for the overall highest scorer in the competition. What a fantastic achievement! We hope our webpage provides you with all the information you need and hopefully answer many of your questions. Please do let us know if you have other questions or any concerns. At Trinity Anglican Methodist Primary School we are committed to the development of Physical Education and School Sport and we recognise the major contribution it makes to the development of the whole child. Through Physical Education we aim to develop, all of our 620+ children physically, spiritually and mentally. It is fundamental to our ethos to encourage all our children to enjoy rising to challenges and to develop co-ordination, strength, stamina, skilfulness, collaboration, leadership qualities and to promote intelligent, thoughtful, reactions to situations. We also believe that Physical Education should lead to a sense of well-being, a greater understanding of health and fitness, a healthy lifestyle and a feeling of self-confidence. "We love sport at Trinity because they offer a range of sports for everyone."